Ayurveda is perhaps the most oldest and most valuable gifts that nature has provided mankind. It originated in India and spread far and wide. This is a widely followed method of cure in the state of Kerala. 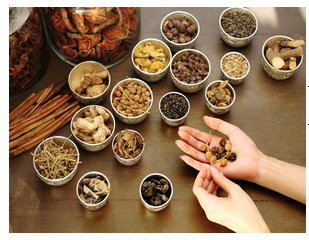 Ayurveda is a general term for “traditional medicine”. The methods and cure mentioned in Ayurveda can be dated back to 1200 year. The manuscripts Charak Samhita and Sushruta Samhita form the core for ancient Ayurveda, which are evolved to be used in the modern days. You can have a look at the names of some herbs and spices in Ayurveda, just click here for the Info... Herbs, Spices And Leaves Names In Ayurveda. Ayurveda is an ancient system of medicine. In Ayurveda, a human body is viewed as an individual entity made up of five elements. Yes, just like how the five elements, air, water, fire, earth and ether exists in nature, it exist in our body too. They are called the Panchamahabhutas. Practising Ayurveda can help you get rid off bodily toxins and help you attain a healthy lifestyle. Ayurveda provides us specific methods to treat the three doshas. They being Vata, Pitta and Kapha. When the toxins in the body accumulate to the large extent, then a treatment called Pancha Karma is put to use. It is a process to cleanse the body which comprises of massages, herbs, nasal cleansing, herbal baths, and nutritional diet intake. To know more about Ayurveda, click here More On Ayurveda. Now that you have got an idea of what exactly Ayurveda is, Lets go more deeper into the subject. By understanding and gaining knowledge on these qualities, we can analyse the body which suffers from these. Increase in any of the above can be set right by altering the opposite of that quality. Today the importance of Ayurveda has grown immensely and many are opting for the safe and tested age old medicines to western medicine. Ayurvedic treatments such as, body massages, Yoga and meditation have a strong impact on people, with great results to back it up.